Wing2World is Wing’s international money transfer services catering to serve Cambodians locally and worldwide. Wing opens up to the world of possibilities, providing access to thousands of migrant workers and their beneficiaries, as well as expats residing in the kingdom. With Wing2World,migrant workers can send their hard-earned money to any of Wing’s partners in more than 200 countries worldwide while its beneficiary can cash out to any of the 6,000+ agents nationwide in Cambodia or receive any time on their beneficiary Wing Money App. With Wing2World Outbound service, Wing customers can now send their hard earned money to any of the Wing partners outside Cambodia. The list of partners and countries are enumerated below. 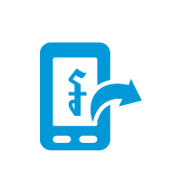 Wing2World outbound service is made easy with the use of WingMoney mobile app, customer can send money anytime from the convenience of their smart phone. Wing2World offers a competitive and flexible cost money transferring cost. Customers can use our 6,000 Wing agents throughout the country for cash pick ups. Cash-out services are available via our customers’ Wing Account or WCX agents using a mobile phone and an 8-digit code. Customers walk in to branch with ID document (passport/work permit), pre-register with passport, and other relevant details (bank account or address). Customer can register online with document (passport/ Australian driver license) at https://www.audsmart.com/ then after account approve, customer can make order at https://www.audsmart.com/ and transfer to us via internet banking 24/7 with NO FEE NO CHARGE. You walk in to branch with ID document (passport/work permit), pre-register with passport, and other relevant details (bank account or address). You can transfer money via OTC (over the counter). Customers need to visit Mass Express branches and bring a valid Identity Card with photo, such as NRIC, Passport, and Work Permit with proof of residential address in Singapore. Customers need to visit Mass Express branch to find out about pricing. Customer walk in to branch with Passport or any valid ID Documents (Photocopy is acceptable). Customer can register online with document (passport/Hong Kong ID Card) at https://www.hkdsmart.com/ then after account approve, customer can make order at https://www.hkdsmart.com/ and transfer to us via internet banking 24/7 with NO FEE NO CHARGE. Customers can send via Wing's partner branch: World Family Remit (with Tranglo) and also World Family Remit App or Website. Shinjuku-ku, Tokyo, Japan 2 -4-6 Mate Shinjuku Building 3rd Floor (3rd Floor, Meito Building, Hyakunin-cho). It’s only two minutes walk from JR Yamanote Line, Shin-okubu Station. Customer can transfer via GMoney Trans Application and over the counter (OTC). Customers can register themselves through GMoney Trans Application or they can go to the branch to connect to the application. Customer can transfer money via 'Liiv KB Cambodia' (Kookmin Bank Cambodia App). Please install 'Liiv KB Cambodia' and visit our remittance branches in Korea. Customer can transfer via GME Remittance Application. Customers can register themselves through GME Remittance Application or they can go to the branch to connect to the application. Customers can send money via HANPASS App. Customers can transfer to Cambodia by using SBI Website (sbicosmoney.com) or Mobile App. Customer need to visit Jeonbuk Bank then they can transfer through PPCBank Mobile App to Cambodia. You can transfer money via DeeMoney App or visit any DeeMoney branches in Thailand. Address: 11st Floor, SH-1-012, 999, Building, Imperial World, Samrong Moo 1, Sukhumvit Road, Samrong Nuea, Mueang SamutPrakan, Samutprakarn 10270. Address: 75/78-79 Ocean Tower 2 Floor 31 Sukhumvit Soi 19 Sukhumvit Road, Klongtoey Nua, Wattana, Bangkok. 10110. Address: 1st Floor, Front PG001 119 Tesco Lotus Building, Mahachai Moo 7, Tambon Thasai, Muang Samut Samut Sakhon 74000. Address: 168 Sukhumvit Soi 8, Sukhumvit Road, Klongtoey, Bangkok 10110. The Western Union Company (NYSE: WU) is a global leader in cross-border, cross-currency money movement. Their Omni channel platform connects the digital and physical worlds and makes it possible for consumers and businesses to send and receive money and make payments with speed, ease, and reliability. Western Union moves money for better, connecting family, friends and businesses to enable financial inclusion and support economic growth. For more information, visit www.westernunion.com. Customer can visit a 50 selected wing agent near you with your National ID and tracking number (MTCN). Click Here to Find an agent location. MoneyGram offers convenient option for receiving money. Bringing you closer. It's amazing how much you receive when you send money. Reliably send and receive money around the world. For more information, visit http://moneygram.com.kh. Sending money with MoneyGram is easy. Follow the simple steps below to find out how. Customer can visit Wing Head Office with your National ID and reference number. The recipient will receive 8-digit codes from the sender. The recipient can withdraw the money at any Wing agent nationwide with the 8-digit codes and phone number with the amount received. Recipient will receive 8-digit codes from the sender. Recipient must keep their pin code safe. By not keeping their pin code safe, they will be in threat of having their remittance withdrawn by other person. Wing in partnership with Philippines partner brings you the first outbound transfer service from Wing. Filipinos residing in Cambodia can now send money anytime anywhere through WingMoney mobile App. Customer must have a Standard Wing Account to be able to transfer. Note: If you currently acquire your Wing account on digital channels like Facebook, Wing Website or etc. you must upgrade to standard Wing Account to any Wing Cash Xpress agent only. You must bring a valid identification and a registered phone number to be able to upgrade. Transaction will be processed instantly by Wing and fund will be credited based on beneficiary bank processing time. During Holidays and Weekend fund shall be processed in the next business day. Available to receive funds in both USD and PHP. 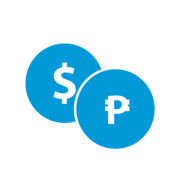 The USD feature for bank is available provided that the receiving account is in USD. Wing in partnership with Sacombank brings you the outbound transfer service from Wing. Business owner in Cambodia can now send money anytime anywhere through WingMoney mobile App. Available to receive funds in both USD and VND. 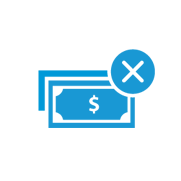 The USD feature for bank is available provided that the receiving account is in USD. Wing brings you the outbound transfer service to Thailand via Deemoney. Business owner can transfer money to any banks account in Thailand or receiver’s phone number anytime anywhere through Wing Money App. Customer can cash out at any DeeMoney branches by using passport/NID, phone number, code and amount. UnionPay International brings you the outbound transfer service to China via Wing. Chinese migrant workers, businessmen and anyone can​​ transfer money to UPI account at China anytime anywhere through Wing Money App. Transaction will be processed by Wing and fund will be credited instantly. Confirm and input your PIN to complete the transaction *Don't forget to provide the transaction code to your receiver only. You must register your Wing Account to WingMoney App. Cash-in to any Wing Cash Xpress or WingMini and complete the details on your WingMoney App. Calyon Bank Thailand - Crédit Agricole Corporate and Investment Bank S.A.